You have many options when choosing a honeymoon destination, whether you love the beach, mountains or night life. Every couple is looking for something memorable and, above all, romantic. Luckily, a wealth of information is available to those looking for that special place. You have many options for that special honeymoon location. For many newlyweds, someplace warm and sunny is the ideal--basking on white sands, swimming and walks by the ocean waves at sunset. Tahiti and Mexico are popular destinations, as well as Hawaii, the Bahamas and the Cook Islands. These places offer all-inclusive resorts, tropical surroundings and warm, crystal-clear lagoons. According to the American Express Travel website, Cancun, Mexico is the best value honeymoon. It is easy to fly to, provides both activity and relaxation, and boasts some of the best beaches in Mexico along the Caribbean. If privacy, escape and the wilderness are your preference, there are again several options. Places like British Columbia, Canada, New Zealand and the Rocky Mountains in Colorado are romantic getaways with breathtaking scenery. 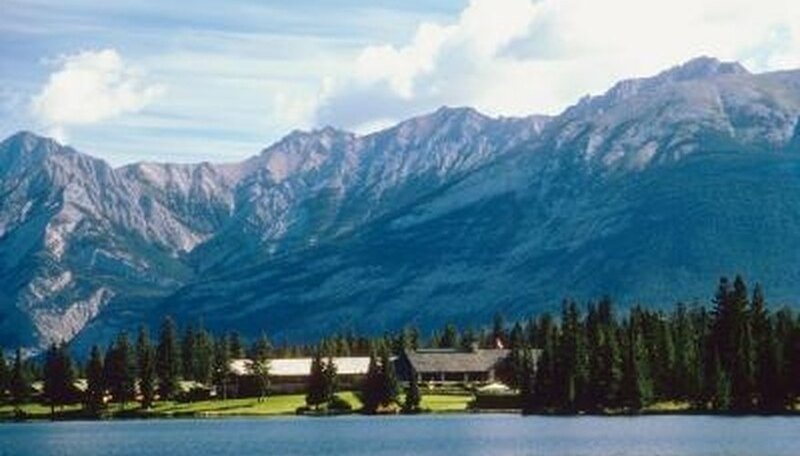 They offer activities like skiing, trail rides, sailing and relaxing by the fireplace. Estes Park in the Rocky Mountains provides cottages, cabins or bed & breakfast inns. Alaska is another very secluded destination where a couple could go kayaking, whale watching or witness the northern lights. France, Italy, Austria and Greece are just a few of the European destinations that attract honeymooners who are looking for an amorous setting. Paris has been called the most romantic city in the world, with attractions such as the Champs Elysees and Montmartre, offering cozy restaurants, boutiques and old world charm. In Venice, Italy couples can visit the Bridge of Sighs that crosses over one of the city's many water canals, and in Rome they can wander among the magnificent ancient ruins. For some couples, excitement and night life are key to a perfect romantic honeymoon. Las Vegas and San Francisco are two famed cities which offer plenty of both. Las Vegas, while famous for its glitz and extravagance, also offers a gentler side, such as a gondola ride at the Venetian or the Bellagio water show at sunset. Inspiration Point in the Presidio in San Francisco offers couples a romantic view of Angel Island and the San Francisco Bay. Ultimately, the place for a romantic honeymoon is the one that feels special to you. You may find a locale that isn't as well known, or as expensive, as the more popular destinations but that provides all of the important aspects you seek, with the added benefit of being more uniquely yours. A romantic honeymoon is a celebration of both of you and the love you share, and that is what makes it truly unforgettable. Since 2000, Jessica Eve deCastro has been writing articles for newsletters and newspapers, including "The Evening Sun" and "The Old Schoolhouse Magazine." She completed a course in medical transcription, making her a skilled researcher/editor, and prefers to write about culture, society, history and religion. Eve, Jessica. "Places for a Romantic Honeymoon." Dating Tips - Match.com, https://datingtips.match.com/places-romantic-honeymoon-8016812.html. Accessed 24 April 2019.